Baseball under the Poseyville overpass. This is the underside of the Poseyville Road overpass. The baseball players are apt, because just up the road is Dow Diamond, where minor league baseball’s Great Lakes Loons play. Across the road is more painting, a little girl playing in water, a violinist and more. For those who don’t know, Midland is huge into the arts, and has an amazing facility for a town its size. 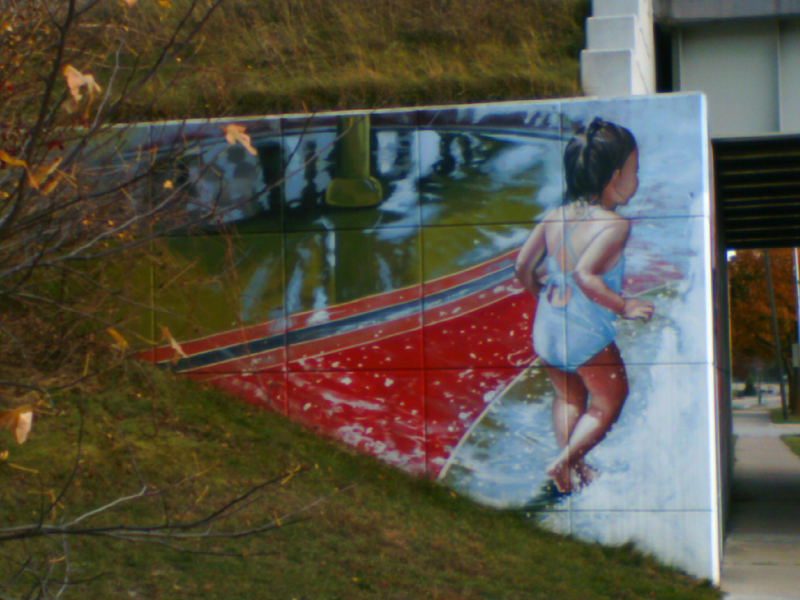 Girl playing at the Poseyville overpass. 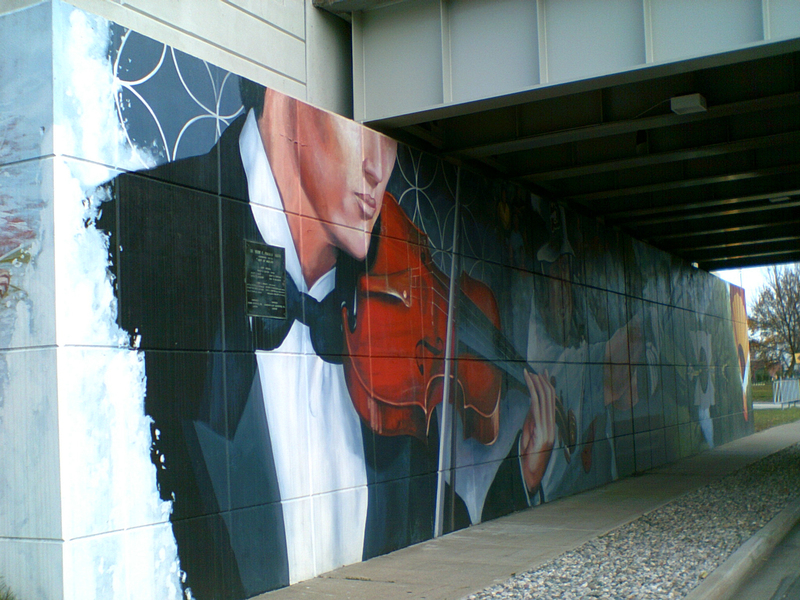 Violinist under the Poseyville Road overpass.